Tuesday, Dec. 11: Ugly Christmas Sweater day. 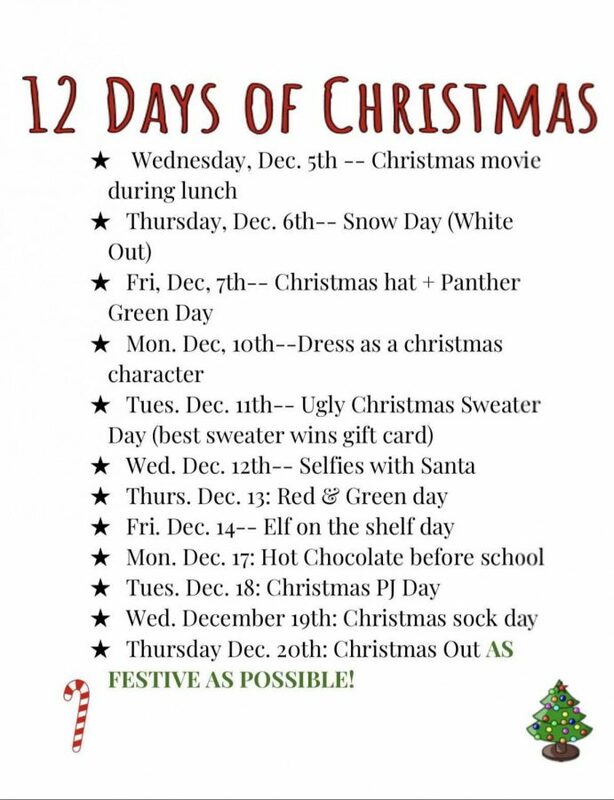 Tweet @DerbyStuco with #12DaysofXmasDay5! Friday, Dec. 14: Elf on the Shelf Scavenger Hunt. If you find an Elf take it to the main office for a surprise. Thursday, Dec. 20: Christmas spirit day. Wear as much Christmas apparel as you can!